SUCKER is based on the award-winning, smash hit stage show by Lawrence Leung. Leung co-wrote the feature film adaptation with director Ben Chessell. The comedic coming of age story stars YouTube sensation John Luc (who has more than 2.3 million YouTube subscribers globally), rising star Lily Sullivan (Camp, Mental) and Timothy Spall (Harry Potter, Mr Turner). Other cast members include Jacek Koman, Kat Stewart and Shaun Micallef. 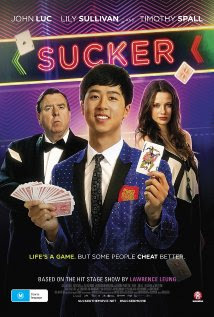 A fresh take on a classic con tale, SUCKER is the first Australian feature film to cast a YouTube star in a lead role, and is loosely based on Leung’s late teenage years.